A must-have for any woman serious about learning to play guitar! 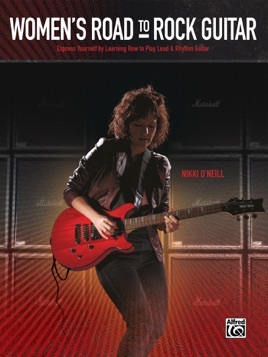 Guitarist, singer-songwriter, performer, and instructor Nikki O'Neill helps you find your way around the electric guitar in this groundbreaking, comprehensive method! 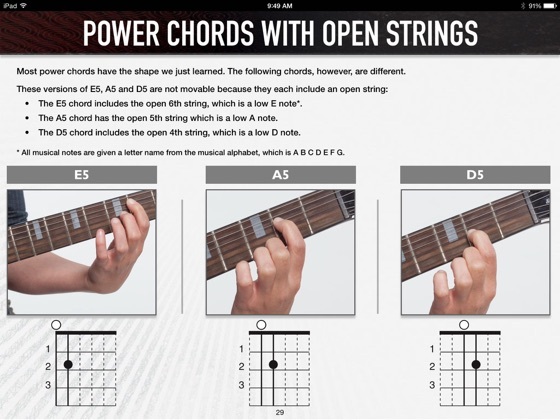 Learn how to play rhythm guitar for different rock styles using power chords, riffs, barre chords, strum patterns, and more. You'll also learn how to play solos across the neck. Nikki walks you through lead guitar techniques like bends, hammer-ons, pinched harmonics, and the whammy bar, and offers tips on how to build strength in your hands. Nikki's in-depth and easy-to-understand style will have you playing along with the accompanying audio tracks in no time. 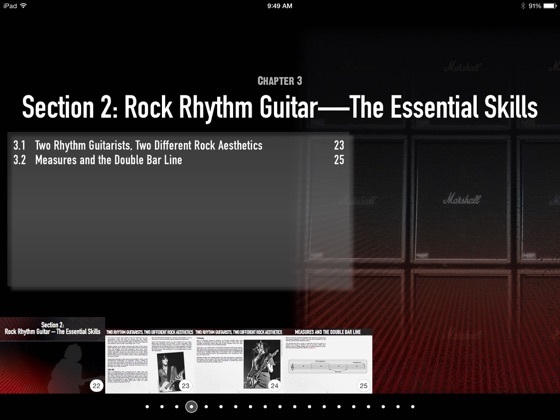 The book also covers song structure, writing chord charts for your songs, the basics on amps, pedals and guitar care, and even shows you how to figure out songs by ear. 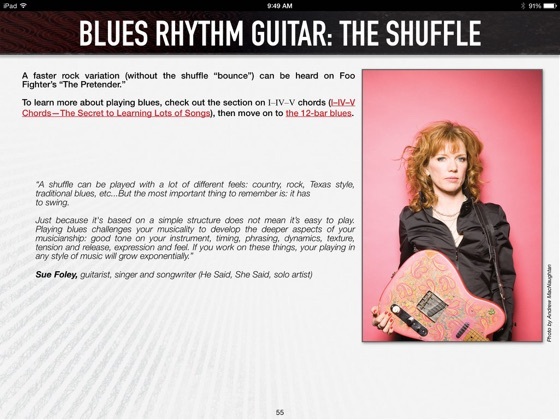 Included are essential tips from important female guitarists that Nikki interviewed, a quick history note on the first female electric guitarists, and a list of music by great female rock and blues guitarists to check out. 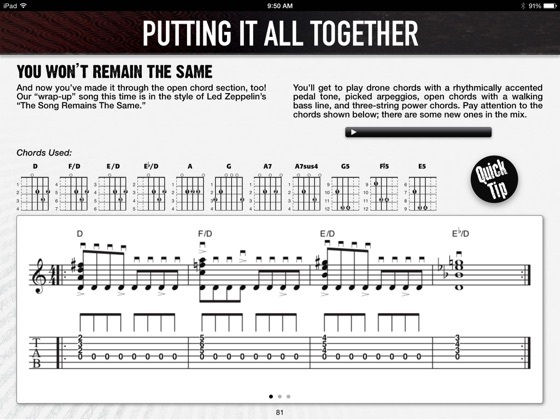 Women's Road to Rock Guitar also features ideas on how to practice, work with other musicians, and stay inspired. 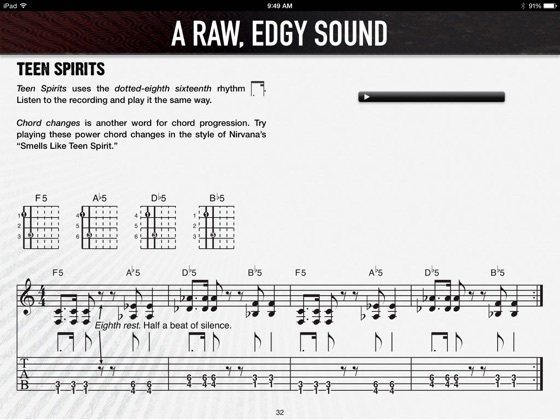 * Examples written in TAB, so you don't have to read music to learn!